If you’ve made the big decision that a Vitamix blender is the right manufacturer for you, the next step is nearly as big and difficult to make; which one? The first and most important thing to consider is if you need a single-serve or full-size blender. In this article we will walk you thru the step-by-step process of selecting the right Vitamix blender for you, using the BlenderReviews Vitamix Selector. You’ve Selected Vitamix – What Doesn’t Matter? Which Series Do You Pick? Which Controls Do You Pick? Which Budget Do You Pick? Which Condition Do You Pick? Which Blender Do You Pick? Did you know Vitamix offers 40 different models of blenders? Many shoppers first experience with an industrial strength blender is at a retail store like Costco, where a Vitamix representative is giving a demo. And in that demo, they typically have 1 or 2 models to choose from. If you go to a different store, they may have 2 or 3 models in varying colors to choose from. If you happen to catch a QVC infomercial, they may be showcasing 1 particular model. And if you’ve been to Vitamix.com you’ll see all different types of models. Random names such as Vitamix 5200, Vitamix Total Nutrition Center 3, Professional Series 500, etc. Is the Vitamix 5200 better than the Professional Series 500? It’s hard to tell just by the model numbers. Don’t Suffer From Paralysis by Analysis! This is a condition that happens when you’re doing product research, and there’s so much information, and so many different names and technical terms, that your head blows up. Let’s define budget right from the start. Vitamix has a reputation for world class customer service. They come standard with 5, 7, or 10 year warranties. The Certified Reconditioned models come standard with a 5 year warranty, but can be upgraded to 8 years. Overall, these blenders are built to last, and it’s our opinion that the length of warranty is a minor factor to consider when deciding which Vitamix to buy. Looking at all 40+ blenders sold by Vitamix and trying to decide on your own which one is right for you, could take days if not weeks of research. We’ve narrowed the list from 40+ blenders down to 4. Our recommendation, look at these 4 and decide which one is best for you. Since we’re talking about which Vitamix to buy and not comparing other manufacturers, there are many purchasing factors that don’t need to be considered any longer. This greatly simplifies the selection process. Power: Vitamix generally uses 3 different powered motors in their blenders. Either a 1.0 HP motor in the S-Series, a 2.0 HP in the Classic Series, or a 2.2 HP in the Next-Gen and Ascent series. Bottom line, power to grind thru any recipe or food type is not a concern for any Vitamix. So we generally don’t differentiate between Vitamix models based on power. Controls – Variable Speed: Nearly all Vitamix’s come with a Variable Speed capability. We only recommend ones that have this so it’s a non-factor to consider at BlenderReviews. 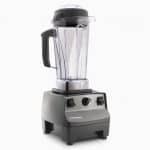 Blender Accessories: Cookbooks and containers are bundled in different retail packages, and especially in the Classic Series, has been the reason why there are so many different models to choose from. It’s already confusing enough to decide on a Vitamix model, so we’ve made accessories a non-factor. Let’s focus on the bigger picture. You can always buy more cookbooks or containers later if you need them. Colors: OK, colors are VERY IMPORTANT to some people. But what we’ve found, once a blender model has been decided, most people will pick a color that’s available. It may not be the ideal color, but most of the time it isn’t a big deal. So what we want to do, in the spirit of simplicity, is make color a non-factor in the selection process. We’ve seen people decide their blender must be Copper color, and that greatly narrowed their selections. So, if color is that important to you, visit our Blender Selector Tool and that can help you sort all available blender in your choice of color. In-Home Trial Program: Also known as the Vitamix Satisfaction Guarantee. All of their blenders bought from Vitamix.com qualify for Vitamix’s 30 Day In-Home Trial Program. With our Coupon you get free shipping to your home. And with this Program, you get free return shipping back to Vitamix within 30 days. You can literally test a Vitamix, in the comfort of your own home, with zero cost to you. It’s the best program we know of that carries zero risk! Payment Plan: They all qualify for Vitamix’s 12-month or 18-month Payment Plan. With this program, you pay no interest, zero, zilch, for 12 or 18 months. 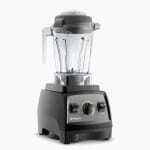 Free Shipping: All items ordered from Vitamix.com qualify for free shipping as a BlenderReviews reader. you must use our Coupon Code or link above. Now that we know what’s not important in the selection process, let’s go thru the Selector. Stick with us here. You’ve made it this far. There are so many variables, it gets really confusing in selecting a Vitamix blender. But if you remove the variables above, the picture starts to get a lot clearer. The BlenderReviews Vitamix Selector is a very simple process we walk you thru. We’ve used it ourselves over the years to personally select our blenders and are now sharing it with you. The first decision to make is how big of a Vitamix do you need? There are some shoppers that are focused on a single-serve blender. Mainly to make smoothies for 1 person. Others are looking for a blender to make for 2 or more, or looking to do recipes for entree’s like soups, dips, and frozen desserts. In our opinion, it doesn’t make financial sense to select a Single Serve type of blender now that Vitamix has the Ascent Series on the market. Mid-High Budget: Multi-Size. It’s the most versatile and it doesn’t cost twice the price. It’s a great value and is the most well rounded option. The second step is to decide which series to select. Each of the Vitamix series are distinct and offer some unique functionality. Answering the question of which series to choose early in the process greatly simplifies the selection process. In reality, what we are asking here is to select which Motor Base you’d like to own. The Motor Base is a combination of the motor and the housing the motor resides in. There is more to it than that between Vitamix Series blenders, but this is the biggest difference to consider. Vitamix offers 4 series of blenders. Let’s do a brief review of each of them. 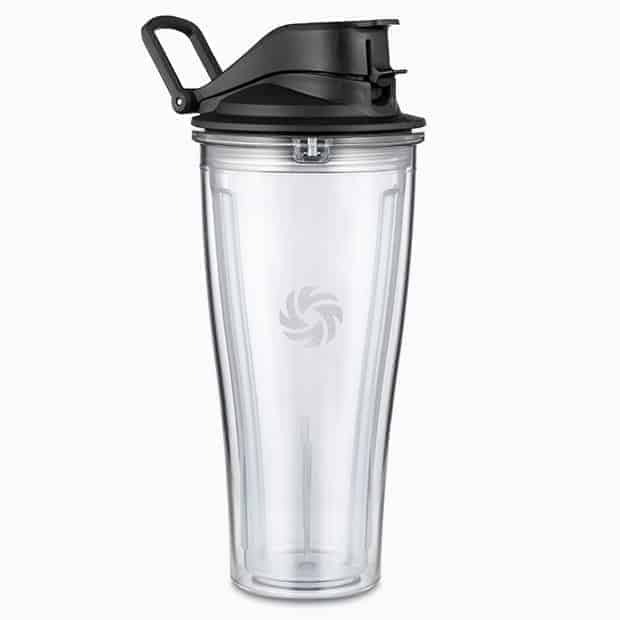 The S-Series functions mainly as a single serve personal blender. It is the smallest blender offered by Vitamix and offers some of the functionality of the small Ninja type blenders. But it does come with a small traditional container so it can do more than single serve portions. ​The S-Series is unique that it ships with 2 containers with each model. One traditional container and a To-Go Cup container. The To-Go Cup container is similar to the Ninja infomercial commercials where you put the ingredients directly into the cup, then place the cup directly onto the Motor Base. In this instance, you only have to clean 1 item (a To-Go cup) instead of 2 items with a traditional blender (container and a cup). *The S-Series also comes in Vitamix Certified Reconditioned models as well. *The C-Series also comes in Vitamix Certified Reconditioned models as well. The G-Series is a newer generation of blenders. They engineered a new motor base that introduced a larger 2.2 HP motor. It also has better sound insulation making it slightly less noisy than the C-Series. It also brought a new low-profile container designed to handle the stronger motor. *The G-Series also comes in Vitamix Certified Reconditioned models as well. The Ascent Series is the newest generation of blenders, introduced in early 2017. With it comes an all new motor base, and extensive use of digital display and touchscreen controls. High tech is also introduced with their new SELF-DETECT Container sensing technology that senses the ingredients the container and automatically adjusts blend settings accordingly. Let’s get to features. One of the biggest and most expensive features you can get on a Vitamix is auto-recipe Programs. This is where with a single push of a button, the blender will automate the blending cycle for things like smoothie, Hot Soups, Dips & Spreads, Frozen Desserts, or Self-Cleaning. This is so handy as you can set and walk away, or if blending a thick frozen smoothie have the ability to keep both hands free to use the tamper. There used to be a big debate if you needed programs or not and I think that was a valid argument to have 3 or 4 years ago. But today, we’re of the opinion that spending hundreds of dollars on a blender deserves to have programs. And if you look at competing blenders like the Blendtec, every Blendtec has some auto-recipe Programs built-in. So it makes sense, to make the investment to get the Programs. We use it all the time and they work extremely well on Vitamix’s. We’ve personally found them invaluable. They make blending so easy to do, with repeatable results everytime. And with the Ascent Series introducing a lot of technology like touchscreen’s and SELF-DETECH Container sensing technology, it just makes sense. The other option is manual controls. Only for those on the tightest of budgets would we recommend getting one of these without Programs. Only buy a blender that has Programs, no manual controls. Yes, you can get by without the Programs, easily. But once you get programs and use them, you’ll find they make blending so much simpler. I know this will be controversial, but we believe wholeheartedly in this topic. Speaking about what matters most, you may have noticed that we put budget at #4 on the list. We’ve talked about it a bunch during this selection process, but only near the end have we really set it aside as it’s own deciding factor. A lot of folks put budget as the #1 step. This makes the question, “what can I get for my budget”. But when buying a high quality, multi-year lasting product, it’s better to think of, “what features do I want or need” first. If after going thru the entire selection process you find out you can’t get the features you want for your budget, you then can go back and adjust your needs from your wants. We have personally seen when budget drives the decision making, more often than not the question that materializes is, “Ok, if I up my budget by $50, how much better of a blender can I get. And if I up it by $100, what does that get me?”. And then all the ensuing questions of, “Do I really need those features I get by spending $100 more?”. By leaving price to the end of the decision making process, you’ve already gone thru all the major variables to consider. And the process is streamlined into reducing, rather than adding budget, and in our opinion making it a simpler process. Now, when you really think about it, this is a lot of money to spend on a blender, no matter what your budget range! In general, I used to be the sort of buyer that bought bought a lot of stuff, and picked the cheapest models. But over time after upgrading them, I’ve found myself buying less stuff but much better quality. A blender is one of those items I’ve chosen to buy for the great health benefits and have decided to buy the best I can afford. That pattern has led to a less cluttered life. Less cluttered kitchen. Yeah, I have to admit, I used to buy all kinds of things when I saw them on a TV infomercial. Insta-Pot Pressure Cooker, yup, bought one. Also got one of those Nu-Wave ovens. Pineapple slicer, yeah, I think I have that in a box somewhere. A Vitamix is the type of blender that will last a lifetime. It’s not an asset like a house, so don’t expect it to appreciate in value. Treat it like it is, a kitchen appliance. One that makes recipes possible that you couldn’t do without it. It enables a healthier lifestyle thru food. And for some, they consider food medicine. And a blender and a juicer are two of the best ways to get high nutrition in volume in a yummy meal. It’s the kind of thing you’ll probably pass on to your children. I remember my grandma had a juicer that she used every day thru her 90’s, and us grandkids fought over it. It was built like a tank. It was a brand I can’t even remember, but we all could tell it was restaurant grade quality and made a fantastic juice. Sad to say, I didn’t get it, but that’s OK as I’m a blender guy now. Our recommendation is to buy the best Vitamix you can afford. And if you need to do payments, take advantage of the Vitamix Payment Plan that has zero interest. Finally, lets decide if you need a brand new blender or are comfortable buying a factory reconditioned one. We’re big fans of the Vitamix Certified Reconditioned blenders and spoke about them at length in a previous post. If you’re comfortable with them, they are a tremendous value. They allow you to get a model that is sometimes a hundred or more dollars for the same budget. They should be seriously considered. If the Ascent Series bubble to the top of your list, buy brand new. But if you buy anything else, we highly recommend the Certified Reconditioned blenders. If you catch a C-Series or G-Series blender during a Vitamix sale, then we’d also recommend one of those blenders. When you look at the Vitamix website, there are A LOT of blender models to select from. But don’t get confused or suffer paralysis analysis. We really like the S30 and the S-Series in general. It was Vitamix’s competitor to other upstarts such as the Ninja. But we don’t think the S-Series dedicated personal series blenders make sense to buy today any longer with the Ascent series on the market. In fact, I wouldn’t be surprised to see the S-Series be discontinued sometime soon. But, there are corner cases where they make sense. ​For example, we RV in a small Class-B Mercedes Sprinter RV. While luxurious, they are quite cramped with 2 adults in it. Saving space on every item possible has proven helpful. A small S30 would be a great addition without taking up too much space. Or someone living in a really small condo or Tiny House. Or a digital nomad that travels the world and has to lug it from place to place. You get the picture. C-Series: Certified Reconditioned Standard Programs. On Sale – 5200. The Certified Reconditioned will usually be one of these: Professional Series 500, 6300, 6500 or Total Nutrition Center 3. They’re all top notch blenders and any one of these will make for a terrific value. The longtime favorite and top seller, Vitamix 5200, is so good in fact, with its proven track record and countless testimonials, we have to include it as well. It doesn’t have Programs, but we’d definitely consider one if we bought it on sale at Vitamix.com. G-Series: Certified Reconditioned Next-Gen Programs. On Sale – 7500, Pro Series 750, and 780. The Certified Reconditioned Next Gen Programs are based on the Pro Series 750. This is one of the best values in our opinion for a mid-high budget Full Size blender. We are also huge fans of brand new versions of the 7500, Pro Series 750 and 780. These are the 3 blenders we’ve recommended the most all these years. Mainly because they are the most popular models as well as have proven dependability. While we love these blenders, we’d only consider buying one of them if we landed one during a Vitamix sale. At full brand new pricing, they bump up into the range of the Ascent Series. As we mentioned the Ax500 series come with Programs. And we highly recommend in this day and age to only buy a high performance blender with Programs. The Ax300 Series blenders are tremendous values. But as we’ve stated earlier, we are big believers in 2017 that a blender in this price range should come with Programs. So that’s why we only really recommend the A2500 or A3500. We are in love with these new Multi-Size blenders from Vitamix! And the price point they’ve put them at, they pack a lot of value for the dollar. So we’re at the end. Hopefully you’ve hung with us thru this and find it helpful in your buying process. To recap, we’ve taken all 40+ of Vitamix’s blenders, filtered out low-importance features, went thru a selection process, and are now here to make a final decision. When we went thru this process for the first time, comparing all 40+ blenders Vitamix has on the market, we didn’t expect the results to come out the way they did. Multi-Size – Being able to get Full-Size blending jobs done and have the convenience to use Single-Serve cups on the same motor base are the ultimate of what a high end blender should be in 2017. A-2300: The perfect Personal Size blender and bargain. Certified Reconditioned Next Gen Programs: Get a Pro Series 750 at a bargain price! The BlenderReviews Vitamix Selector Process is a work in progress. And it has been developed thru feedback from our visitors. If you found it helpful, please leave a Comment below. If you have recommendations to make it better, please, tell us with a Comment. We’d like to think of this as a crowd sourced Selector. And if you didn’t find value in it, please let us know that too. But in the spirit of making the world a better place, also tell us how we could make it better. Peace, and we wish you a healthy and long life! Let food be thy medicine and medicine be thy food. 431 B.C. Hola necesito saber cual me recomienda, ya que estoy buscando una licuadora que muela betabel o brocoli crudo y no queden grumos. Estoy pensando la 5200 pero me interesa su recomendación gracias!!! I am considering the 5200 with the dry blade container. Can I grind coffee in that also? Yes, grinding coffee in a Vitamix only takes a few seconds, too! The Vitamix says you can definitely ground coffee beans in the standard container/blade but it won’t necessarily be as consistent as with the dry container. It will be courser too. However, he went to add that 80% of people who buy the dry container don’t actually use it much. If you’re not satisfied with the ground coffee beans in the the standard jar, just buy a coffee grinder instead.